I did want to do our annual behind the scenes post of the year. However, I was not the greatest at categorizing those I images and I only have access to only a few of them. (Which I am totally going to share)! So in addition I want to share some of our favorite moments from this past year. 2017 was a good year for us. Personally and business. I will get more into personal on a later date but today I want to share the highlights from last year. First off we launched Hen & Chicks. This is a gift service geared towards wedding professionals and other businesses wanting to step up their game in client experience. As much as this is a fun creative outlet for me, I will be honest. I am not sure where this will go or even if I am going pursue it full heartedly this year. We have a couple of clients we serve and we will continue to serve them with love and excellence but growing this side hustle right now is not something that we want to pursue right now. This year we shot 30 weddings and 61 portrait sessions. Not including commercial work we did on the side! To dive right in I want to start off with our first wedding of the year! Ryan & Kristina. They got married April fools and it was such a sweet day. We absolutely love these two and we are so excited that they are expecting their first baby this year!! Side Note: I love that we get all four seasons in Virginia!! It sure does make for some variety and beautiful scenery! Paul & Kirah were absolutely perfect! 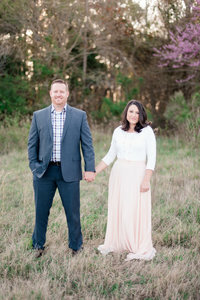 These two married on a gorgeous day in April and we got to work with one of our favorite florists Courtney! One of my favorite moments of 2017 was when one of our couples took across the county to Tucson, Arizona for their engagement session! It was epic! We just love Adam & Emily and we are looking for an excuse to go back and visit them again! While in Arizona, we were able to stay with some of our best friends. We of course had to snag a family session of them in the beautiful desert. It has been a big year for them as well. They officially opened up their first Crossfit Gym in Saguaro! Super proud of them! Luke and I attended Connect for the second time. This is a retreat made for couples who do business together. It is located in Rome, Georgia and the peaceful setting and amazing speakers make it a trip that is so worth it! I will continue to recommend it to all couples who are in business together! We have made life long friends and it is so reassuring not to just do business together but also life. We came back refreshed, on fire, and focused. Just in time for weddings, weddings, and more weddings! We even went to Alabama for a wedding and it was amazing! Definitely one of my favorite moments! In the midst of all these weddings we had lots of engagement sessions! So many fun and amazing sessions that I love! Let’s not forget the moment that a normal portrait session turned into a proposal. It was awesome…. And I might share on our Instastory how Luke almost ruined the moment…. ( Maybe)…. We had lots of fur babies join us! And of course more weddings! We had lots of fun and worked with some amazing vendors! Here are some BTS shots! Of Course this is just a quick highlight of 2017. So much more went into this past year and we are truly grateful to not only our clients but also the industry as a whole who always cheers us on and supports our crazy endeavors!